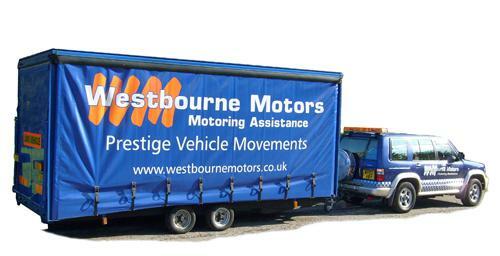 Westbourne Motors have over 40 years experience recovering and moving prestigious motor vehicles. Modern, fully enclosed, specialised transport. The very best care for valuable, vintage, veteran, customised or other prestigious vehicles. Covered transport for celebrities or when discretion is needed. Low loader for customised cars or vehicles with low ground clearance. Enclosed transportation ensures that all vehicles arrive at their destination in a pristine condition. Fully trained and experienced staff will safely load and deliver highly valuable vehicles. The wheels of all vehicles are protected with vinyl wheel covers. Risk free transportation to any UK mainland destination. Fleet & museum collections are specifically tailored to each customer’s needs, as are individuals and specialist dealerships.